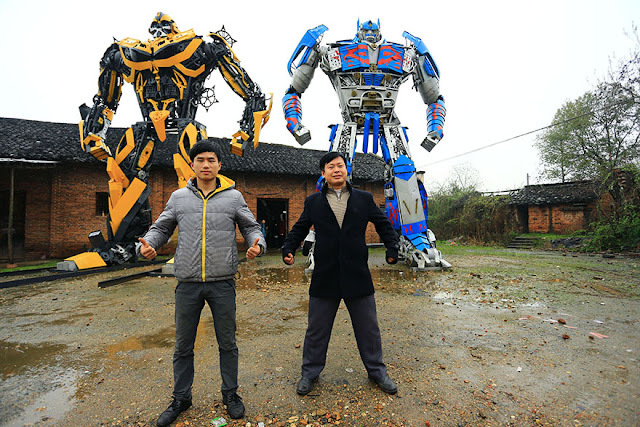 The father son team is from Southeastern China. They work together to create ginormous transformers out of used scrap metal. 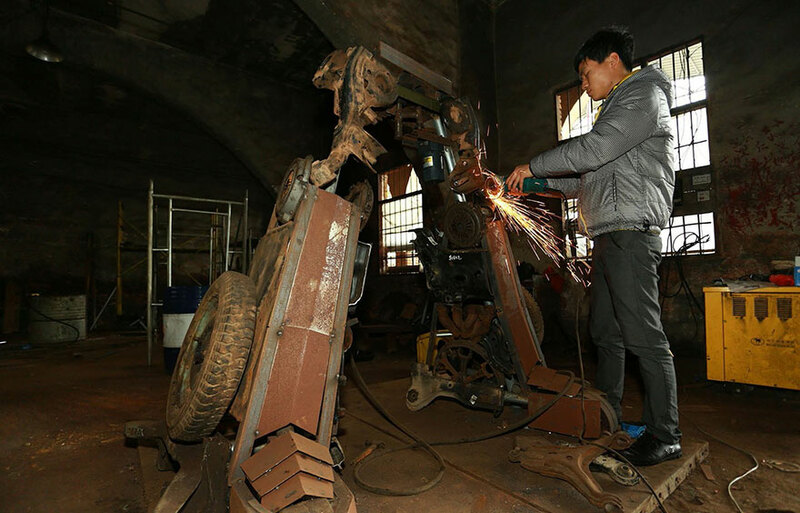 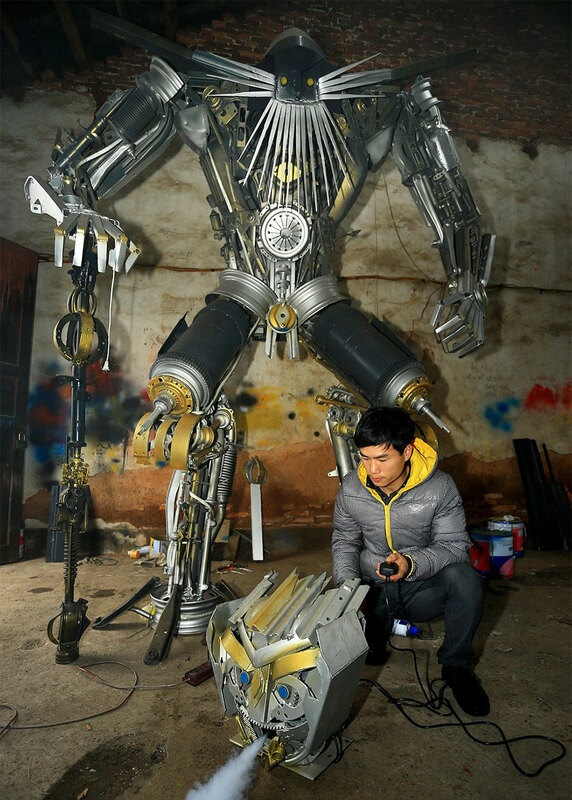 Yu Zhilin, who is a farmer but has a background in fine arts, decided to start creating robot statues from spare car parts during his free time. 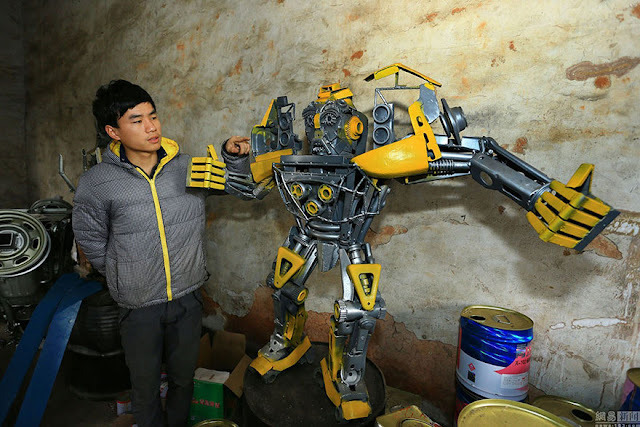 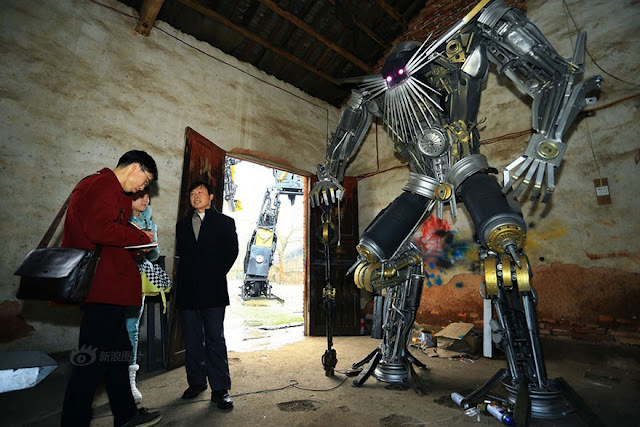 His son Lu Yingyun decided to join in on the fun and together they create life-size transformers. 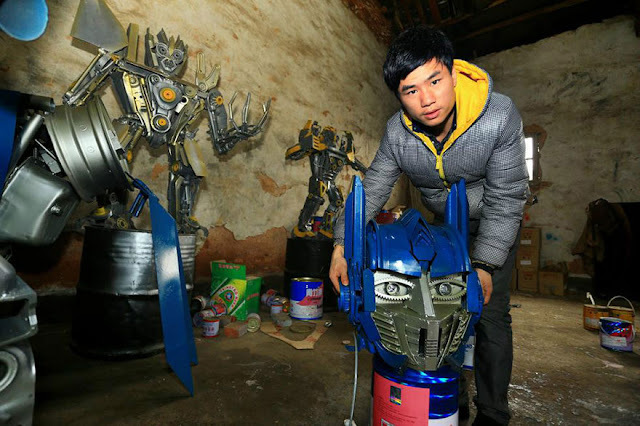 The latest Transformers film is the highest grossest film in China history, so needless to say these Transformers are a HUGE hit. 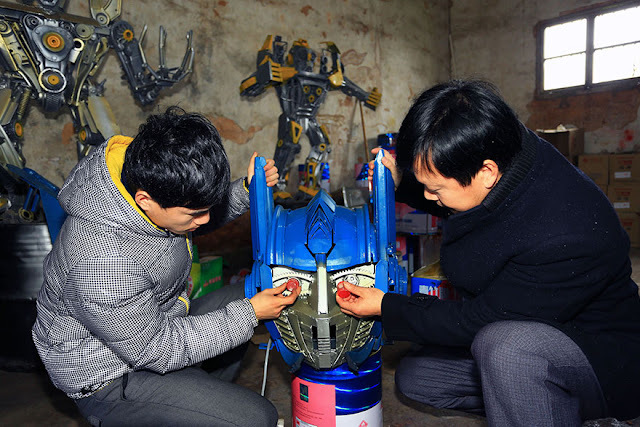 When they first started, it definitely was not an easy chore, it took them 3 years to complete their first transformer. Now, they define themselves as pros. 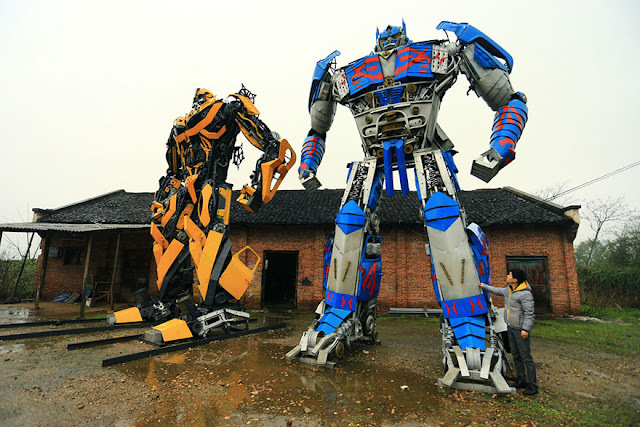 They are super excited for the next Transformer movie, hoping it just increases their sales. 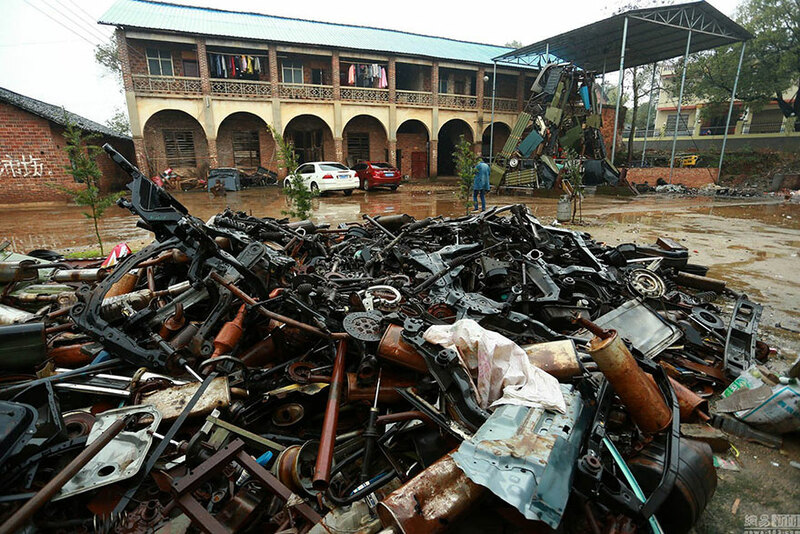 But for now, they are excited about making 1 million RBM a year, that is equivalent to about $160,000 in US dollars.